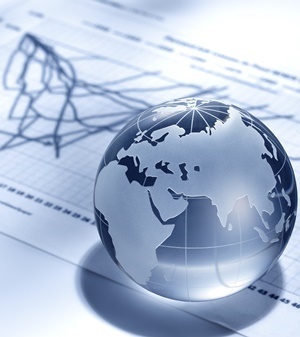 While global economic growth was sound in 2018, leading to solid company earnings, markets bucked the trend in anticipation of weaker times ahead, Maarten Ackerman, chief economist and advisory partner at Citadel, said in a statement on Monday. He said that, while the long-term bull market remains intact for now – the pullback in global markets does signal weakness. The question is a matter of when, rather than if, the trend will end, in his view. "The market has already priced in the weaker (global) economy and, coming from a low base in 2018, we expect equities to rebound over the course of 2019, with upside potential still on offer to investors, although in a more volatile environment," said Ackerman. "Rather, a tougher year is more likely to materialise in 2020 when the US will need to negotiate higher interest rates and growth disappointments in an election year. A recession could even be a possibility then, with a dismal US equity market to match." A slower interest rate hiking cycle in the US and a possible breather by the US dollar would, alongside support in China, also be good for emerging market economies and currencies, in his view. Citadel believes that most economies will still deliver reasonable growth during 2019. "Clearly, there are headwinds facing global economies this year, with geopolitics playing a major role. Brexit, for example, is already in uncharted territory and will certainly be messy, while populism is taking hold in Europe," said Ackerman. "In France, the 'yellow vests' have thrown the country into turmoil, and the US-China trade war remains unresolved." For Ackerman there, however, remains capacity for positive growth in 2019. "Although the Chinese economy is already slowing down, the authorities are planning for stimulation to support it and engineer a soft landing. Such a move would be positive for emerging markets, which are reliant on a healthy China, and we expect the Asian giant to come through for them," he explained. "Across the Pacific we see the US also showing somewhat slower growth this year, but there will be some fiscal support for the economy and we are hopeful that a trade agreement will be reached between the US and China which will benefit the markets in general." Using a basket of ten economic indicators, Citadel sees a low possibility of a US recession in 2019. "Although the pace of economic growth is slowing, it is still expected to remain positive, leaving expectations for company earnings in comfortable territory. The likelihood of a recession however increases significantly going into 2020," said Ackerman. As far as the financial markets are concerned, Citadel foresees a year of greater volatility on the back of the heightened geopolitical uncertainty, as well as the outside chance of a bear market. Against this backdrop, Citadel is following a defensive strategy for 2019. It has increased the amount of shock absorbers – such as hedge funds of funds, protected equity and defensive stocks – being held in its portfolios and is reducing exposure to sectors that are vulnerable to market volatility. "At this stage we view global equities as offering better prospects than South African counters, especially Europe and Japan," said Ackerman.